Indonesia has inked a billion-dollar deal to buy 11 Sukhoi Su-35 jets from Russia, an official said Saturday. The contract, signed by both countries’ representatives in Jakarta on Wednesday, is worth a total US$1.14 billion, Indonesia Defense Ministry spokesman Totok Sugiharto said. “Two units of Sukhoi jets will be delivered in August 2018,” he told AFP. The deal comes after Indonesia said in August that it would seek to trade palm oil, coffee and tea for Russian fighter jets, saying it wanted to capitalize on international sanctions on Moscow. The European Union (EU) and the US have targeted Russia with sanctions for alleged meddling in the US presidential election and its annexation of Crimea. However, Indonesia’s Trade Minister said the sanctions could be good news for his country as Russia is forced to seek new markets to import from. 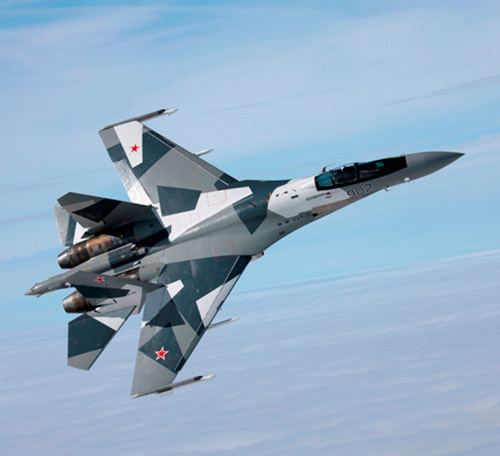 Indonesia and Russia signed a Memorandum of Understanding (MoU) to exchange 11 Russian-made Sukhoi fighters for key commodities in Moscow early August.